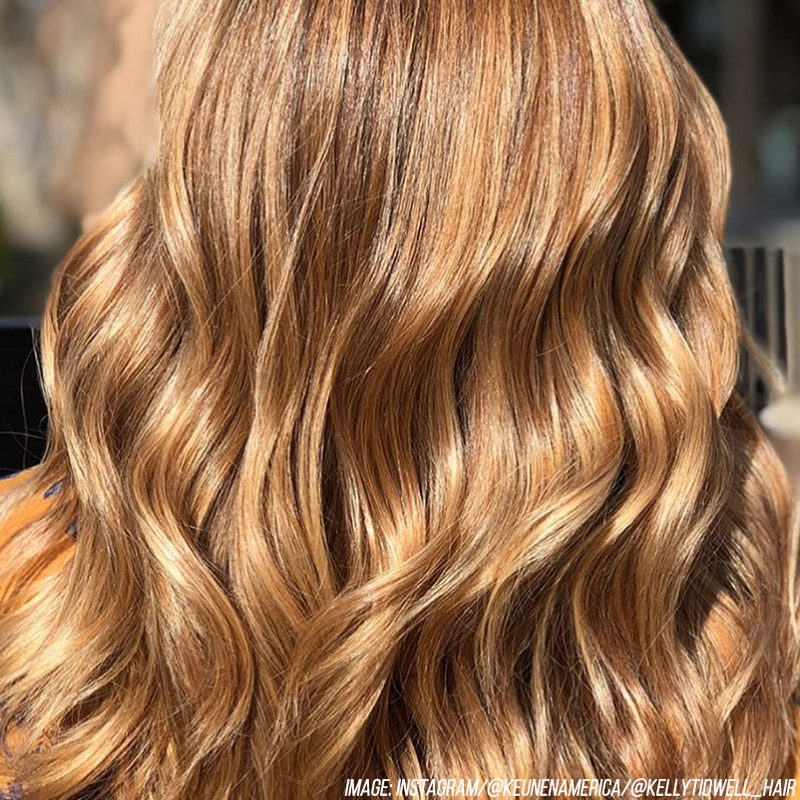 Whether it’s your natural color or your go-to salon shade, every golden-haired beauty can agree: Blondes really do have more fun. Though pale strands are known for looking eternally flirty, youthful and feminine, don’t be fooled—there’s a golden shade for every type of woman out there, whether you want a timeless, sun-kissed or edgy look. Keep reading to find out which blonde hue best suits your style. If you want a cool and modern look, then an icy blond shade is the way to go. The frosty color is currently trending, thanks to the mile-long platinum locks Kim Kardashian West sported earlier this year. To amp up the edgy hue, opt for a white blonde color with “lived-in” roots. Or, try out a platinum shade infused with hints of silver for a bold style that will command attention. Want something a little more wearable than platinum? Inspired by your favorite bubbly, a pale champagne blonde shade with hints of platinum and gold looks elegant and timeless on any hair length. Warm golden hues look fresh and youthful on any skin tone. Though the shade is timeless, regular touch-ups and a quality toning shampoo are crucial in order to prevent unwanted brassy or yellow tones. Give your blonde hue endless dimension with pale blonde babylights. Ideal for framing the face, subtle highlights give blonde locks a natural, sun-kissed look. Want to liven up your dirty-blonde tresses? A honey blonde may be a flattering option. The creamy, yellow-brown highlights add dimension and brightness while still keeping your color on the natural side. Thanks to the shade’s cool undertones, ash blonde pops against a myriad of complexions and provides an edgy contrast to darker brows or brown eyes. As a stylist, you should never stop striving to educate yourself on the latest trends, techniques and skill sets. This is key to a lifelong, successful career within the industry. All too often, after you are done with school and comfortable at a salon, you might not know where to start your education path again. Understanding the needs of stylists and wholeheartedly wanting them to succeed, Sam Villa and his amazing team have created the tools you as stylists need to jump-start your education no matter where you left off! Ever wondered if blondes really do have more fun? Or have you secretly been wanting to stray over to the dark side? The trends we spot on celebrities often compel us to quickly conform to change, but switching shades requires much more work than you make think. With summer around the corner, there’s no better time to amp up your look with a fresh new shade, whether it be a rich espresso hue, a cool crimson tone, a vibrant blue—or, even (gasp!) your natural color! This season, step out of your comfort zone and embrace a new shade! But, before you commit to a fresh look, check out the top five rules to keep in mind when changing up your color.